First off, as offensive as this title might come off, I'm going to try to keep this as civil as possible, and, despite being fully aware of WHERE I post this, would ask people to comment accordingly. So obviously everyone is aware about the current state of SC2, and how Terrans have multiple concerns about their situation, some more, some less valid. I'd like to take a look at the "main" arguments you keep seeing, and debunk those that I deem invalid. To get this out of the way first: Do I think Terran is "weak" or "underpowered" right now? No. Do I think Terran should receive buffs? Yes. But to their diversity, not their strength. 1) Complaints about the numbers of Terrans making it into the RoXYZ of tournament ABC, also known as the "Just play like Maru" argument, implying he's the only Terran that can do well recently. 2) The diversity argument, aka the dilemma of being forced into a specific playstyle or set number of builds, especially in TvP. 3) Complaints about unit/race design. 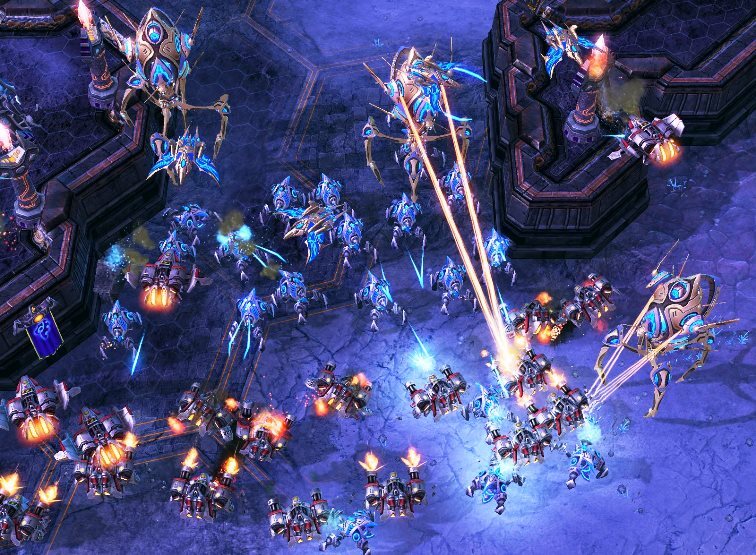 These are mostly targetted at Protoss units or spells, with a few notable Zerg exceptions such as Swarmhosts or Queens. 4) The "skill" argument, aka Terran being the "hardest" race to play and/or having the highest skill cap. Note that I purposely left out any sort of "argument" regarding ladder winrates, as balance is just a nonfactor up until the highest of ranks, and even if losses at lower leagues/lower GM ranks were NOT caused by personal mistakes, you do not want to have a game balanced towards these. After all, you wouldn't reduce the distance needed for a trey in the NBA just because people in a highschool league couldn't pull it off either. 1) This is probably the most frustrating and infuriating point for people opposing the opinion. And rightfully so, because a lot of people try to cite statistics without understanding what they mean. While “There is only 1 Terran in the Ro16” might be a factually correct statement, it says quite literally nothing about the state of the game/meta/balance/tournament in question. What’s important (and makes statistics indicative) in this case, is not how the situation IS, but how it GOT to that point. How did the Terrans that are in the RoXYZ GET there? And, as a direct result, what caused the Terrans that didn’t make it to “fail”? Assume another example bracket: There were 10 Terrans in the Ro32, but only 4 made it to the Ro16. 4 out of 10, while not HORRENDOUS, is not a good conversion rate. So that could lead people to think the game is imbalanced and Terran is in a rough spot compared to Zerg or Protoss. Right? Right. But what if you look at the Ro32 bracket and saw that the lottery gods were against the Space Rednecks that day, and 8 of them were paired against each other? If 4 out of the 6 Terrans who didn’t make Ro16 dropped out against ANOTHER Terran, then this suddenly paints a completely different picture about the state of racial balance, because that means only 2 out of 10 Terrans actually dropped out against Protoss or Zerg opponents. To continue this thought, looking at the winrates and conversion rates of races alone doesn’t tell the whole story either (nothing really does, because there are plenty of unmeasurable factors such as day-by-day form, etc., but that would bust the limits of this post). Take the example bracket from above. 10 Terrans were in the Ro32, only 4 made it to the Ro16. We already know 4 of them dropped out against other Terrans, but seeing as the last 2 lost against Protoss and Zerg respectively, you could look at this, see “Ok, Terran has a 0% winrate against Protoss and Zerg in the Ro32 of this tournament!!! Clearly this means the game is imbalanced, right?? ?” Right… but what if, without trying to trashtalk any of the following players, the Protoss and Zerg were Stats and Serral, and the 2 Terrans that lost to them were… let’s say Brat_OK and souL. Would you really expect them to win? Is Stats beating souL and upset? An upset caused by balance issues on top of that? Probably not if you’re honest with yourself. Those are extreme examples, no doubt. But there is almost always a favorite in a match, that’s just how randomized brackets work. And the plain results of “who won and who lost” become even more irrelevant the closer people are to each other. A recent example from a real tournament would’ve been souL vs DnS in WCS EU. There is (at least in my opinion) no clear favorite. They’re both good players, and when they clash, it’s honestly everybody’s game to win. So just because DnS took that series, doesn’t mean he took it because he’s playing Protoss and souL was playing Terran. So just because Maru is the “only” Terran to constantly make the Ro4 or higher of GSL (which in itself is already untrue, but yeah), doesn’t mean the reason others don’t is because the game is imbalanced. Just as some food for thought. Read: Alt+F: Individual Colors for ladder Opponents. 2) Now this is a tough one… First of all let me say that the more options each race has, the better the game is. And in an ideal, utopian world, everything would be viable and every game just came down to scouting things in time and reacting to them properly and timely. But that’s simply not possible unless you give everyone the exact same tools. I know “asymmetrical balance” is a lame excuse and gives no real “meat” as an argument, as you can’t really weigh one thing against another without taking into account hundreds of thousands other aspects that play into it. But in the end, it’s really just that. There is nothing “uncounterable”, no matter how it may sometimes feel. And this holds true across all games and genres. Some things will be favored over other things. Some things will even be favored over even more things that some other thing would be favored over. And this isn’t “Rock Paper Scissors”, this is a simple matter of optimization. “It being nice” doesn’t mean it should be that way and doesn’t mean it’s a necessity. Terran IS in a spot where they CAN win each and every matchup. The race DOES have builds (mind the plural. Even though the majority of the PvT builds can be classified as 2 base All-Ins doesn’t mean they are singleminded, predictable or linear in any way. Maxyu from terrancraft.com has some very good examples) that are strong enough to achieve that. 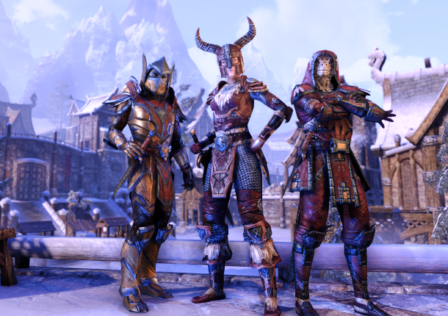 Those builds not being what the majority of people would like to do is unfortunate – but nothing that in any way disturbs the state of the game. 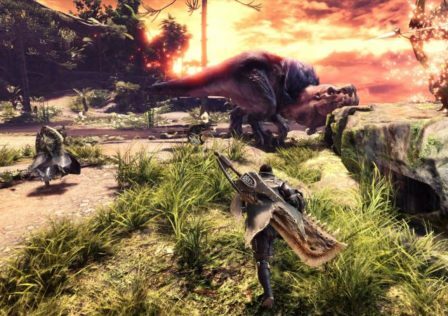 In every game, regardless of genre and company, there are things that work better in a certain period of time, and things that work worse. Sometimes a new patch shakes those “rules” up, sometimes a new expansion does, or even a new invention from players. To add to that, every player enjoys different things. For me personally it’s uncomprehendable how anyone could be happy cannon rushing every game, I want to gouge my eyes out if I even practise it once against AI. Yet Printf does that for years and counting. And unless you are one of the lucky few persons, whose personal preferences align with what is “good”, “viable” or “the meta”, you will at some point of your gaming “career” HAVE to make the decision if you would rather play what you enjoy, or play what gives you the best chances at winning. I’m sure there are plenty of MTG players who would rather play some random Black/White Vampire lifegain deck that they brewed up on their own… but if they want to succeed on the Arena/Online ladder, or in tournaments, they’re better advised to play something like Mono Red Aggro instead. 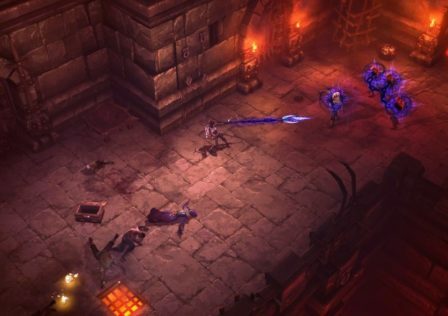 I’m sure there are WoW players who would enjoy playing Brewmaster Monk/Fire Mage/Discipline Priest in 3v3 Arena… but if they want to get Gladiator, they’re better adviced to play Demon Hunter/Boomkin/Resto Shaman (enough with the nerd showcase now). And even in Starcraft itself there are uncountable decisions like this to be made. I’m sure a Zerg player would rather drone up to 80 workers on 4+ bases before making any units… but harass, attacks or a general safety measure will force him out of that. I’m sure a Protoss player would rather not sacrifice the income of an early worker to scout for Proxies, 12 pools, etc.. but if he doesn’t want to die to cheese, he will be forced to do so. I’m sure there are Terrans who would rather play Mech than Bio, and to a certain extend that works, but at the very top? Better stick to Bio. DT/Colossus in PvP? Great idea, but if you wanna win, better stick to Chargelot/Immortal/Archon. And in the same fashion, while it’s “sad” that RIGHT NOW (!) Terrans have the best chances of winning a PvT with one of their 2 base timings – it’s just that. Sad. Not gamebreaking. 3) Another tough point that kind of correlates with the last one, but… let’s shorten this a bit: The majority of units have not been drastically changed since their introduction. Warp Prism pickup range is a thing that Zergs often complain about, yet the Warp Prism in its current iteration has been in the game for how long? 9 years? And I haven’t seen it break PvZ yet tbh. Every race has something strong, something that looks ridicoulos, for a plethora of reasons. You might not be good enough to know how to properly counter it, you might see pros use it in a way that you won’t even come close to facing for another 5 years or so. Or maybe you just don’t understand the necessity of it. Storm is another great example, that has been cried about for a whopping 20 years now. Does it look like absolute insanity when a single spell kills or heavily damages 1-2 control groups of units? Absolutely. But not only is there inherent counterplay against it (splits, EMPs, etc. ), but it’s also a necessity for Protoss to not just straight up die to something like Ling/Bane/Hydra on even footings. And it’s hardly a “Just don’t let them get to LBH tech omegalul” issue either, considering the tech requirements for that. Read: Why is it that starcraft streams generally don't have much viewer involvement? 4) The skill part is an interesting argument, and one that I don’t even want to fully disagree with. Let aside the fact that the majority of people are just parroting buzzwords they picked up somewhere, and usually mean the skill FLOOR when talking about the skill CAP (or “ceiling” if you will) – they might be right. From a certain PoV at least. Thanks to the asymetric design of the races, each race has certain aspects that are easier and certain aspects that are harder compared to the other two races. That is an ok thing and nothing inherently bad, but it might show people their lack of abilities more heavily when playing one or the other race. And, and this is the worst case scenario, it might show people they picked the wrong race for their own abilities – but way too late. Terran is a very micromanagement- and multitasking-intensive race, there is no doubt about that. 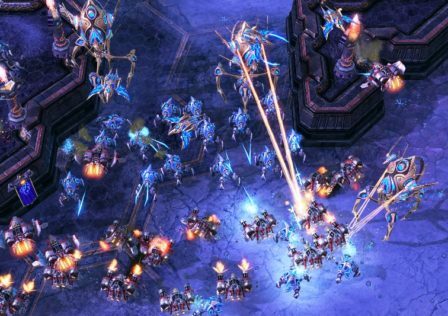 Being able to drop multiple locations at once, target-firing Banelings in a horde of LBH rolling towards you, quickly switching Widow Mine targetting while dropping them into a Protoss mineral line, leapfrogging Liberators and Siege Tanks, and so on – those are taxing activities. Yet if you put a seasoned Zerg macro player on Terran (ignoring things like getting used to keybinds etc. ), they’d probably think it’s laughable how easy macroing as Terran is (Note: Mind the difference between “playing a macro-oriented build” and “macroing well”, aka the process of most efficiently gaining and spending your ressources at any given time of the game). Protoss will laugh at how easy Terran has it to wall and sim city, or how easy Zerg has it to properly position their army, how Z and T can get away with skipping/not being on point with worker production or to catch up on supply blocks. Terran will laugh at how easy Protoss comps like Chargelot/Immortal/Archon are to micro after the engagement started or how quick they can get an upgrade or base advantage. Zerg will laugh at Terran scouting requirements, and so on and so forth. 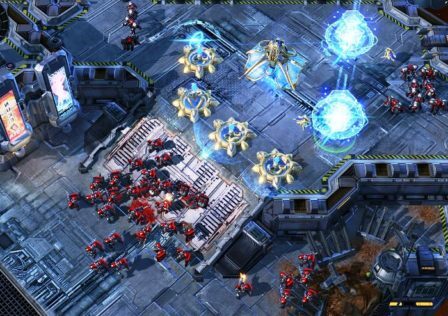 That said, micromanagement is one of the harder tasks to learn for many new players as compared to some other mechanics and skills that are necessary to become decent at Starcraft. And multitasking is a feat that might even be impossible for a certain group of humans. So naturally, a race with a heavy focus on those two skills will appear a lot “harder” or “at an unfair advantage” compared to the other two – because people have a hard time seeing something from a PoV they are not capable of sharing or at least understanding. So is Terran harder to play than Zerg or Protoss? Yes, but not in general. They are harder to play in the aspects the race is designed to be harder at – and are equal or easier in the remaining ones. My apologies for how long this was, but it was important for me to try and include everything I could think of off the top of my head. And I would like to once again remind potential commentors to keep it at least as civil as I did  Nevertheless, let me know what you think, if you agree/disagree on certain points; and maybe I was at least able to show one or two people that things aren’t looking so bleak for them after all. 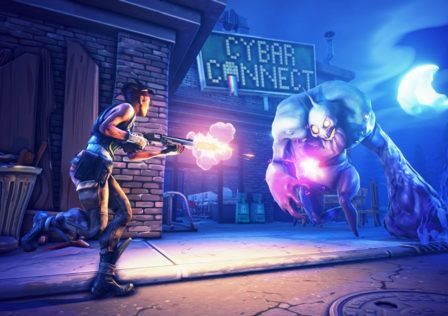 Pl 100’s view of missions. © Post "A realistic view on Terran complaining" for game StarCraft.